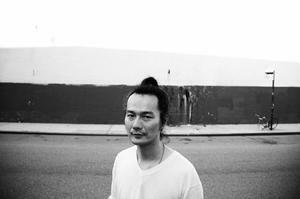 Aki Onda is an electronic musician, composer and visual artist. Born in Japan and currently residing in New York, he is known for his Cassette Memories project—works compiled from a “sound diary” of field recordings collected for over two decades. Onda’s instrument of choice is the cassette Walkman. Not only does he capture field recordings with the Walkman, he also manipulates multiple Walkmans with electronics in his performances. Ongoing collaborations include Nervous Magic Lantern with Ken Jacobs, improv with Michael Snow and Alan Licht, site-specific happenings with Akio Suzuki, and installation/performance with Raha Raissnia.